Maria F. Teran is President and CEO of Sierra Machinery, Inc., a leading full service distributor of construction, mining and industrial equipment based in El Paso, Texas. In 1996, Ms. Teran received the Women in Business Advocate of the Year and Minority Small Business Advocate of the Year for the Small Business Administration, El Paso District. Ms. Teran is a former member of the El Paso Public Service Board and the Thomason Board of Directors and serves as the Associate Chair of the Associated General Contractors of Texas. Ms. Teran was appointed by President Bill Clinton to the American Heritage Rivers Advisory Committee on which she still serves. She was twice appointed by Governor Rick Perry to serve on the Texas Appraisers Licensing and Confirmation Board. She was recently appointed by the Governor to the Texas State Health Services Council. 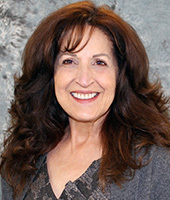 Ms. Teran has served as a director of WestStar since 2001.